Rivet Hinge Fasteners are used for major applications that require high strength and small pulleys. These include construction equipment, agriculture, wood products and mining. 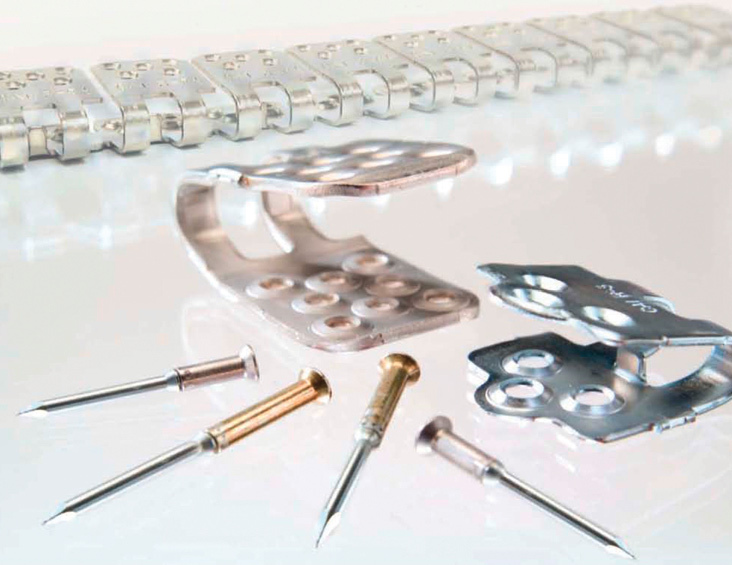 With R-2 Rivet Fasteners, installation is a breeze! Rivet Hinge available in 2, 4 & 5 Rivet Systems. Also RIV-NAIL improves the installation of hinged rivet fasteners on newer, synthetic high strength belt fabrics, manufactured with special tempered steel to form the beveled ends and yield a smooth, low profile.